is Entrepreneurship, Years of Combined Experience, BIGDATA & Artificial Intelligence. Starting with a simple single country daily ML Morning Meeting note since 2013 ML has expanded its coverage in every asset class . May 2013 launch of MidLincoln by Ovanes Oganisian. The name choice MidLincoln was inspired by the rural settings around Goryshkino village located west of Moscow which looked as empty, windy and free as Lincoln Nebraska. The idea was to launch an investment research business which is not run by smartly dressed analysts, but by village folks. The folks could be from any of the village or a small town around the world: i.e. Odintsovo near Moscow from Lincoln in Nebraska, Nyahururu Kenya , Boston in Lincolnshire or Zestafoni in Svanetia Georgia. November 2013 - MidLincoln was put on a tech footing after installation of research sql server and started heavily investing into artificial intelligence tools and bigdata (in a sense of gather lots of data). The primary aim of artificial intelligence tools was to maintain ascetic cost structure of the business. By February 2014 two important new services were launched: ML Datamine - which served as a foundation for a launch of ML GEMs - quantitative portfolio of long/short country ideas. Quantitative products came naturally as extension of the methodology developed by heavy use of artificial intelegence and lots of data crunching, but quant was not the only focus. Rather it was a legacy of tools employed. 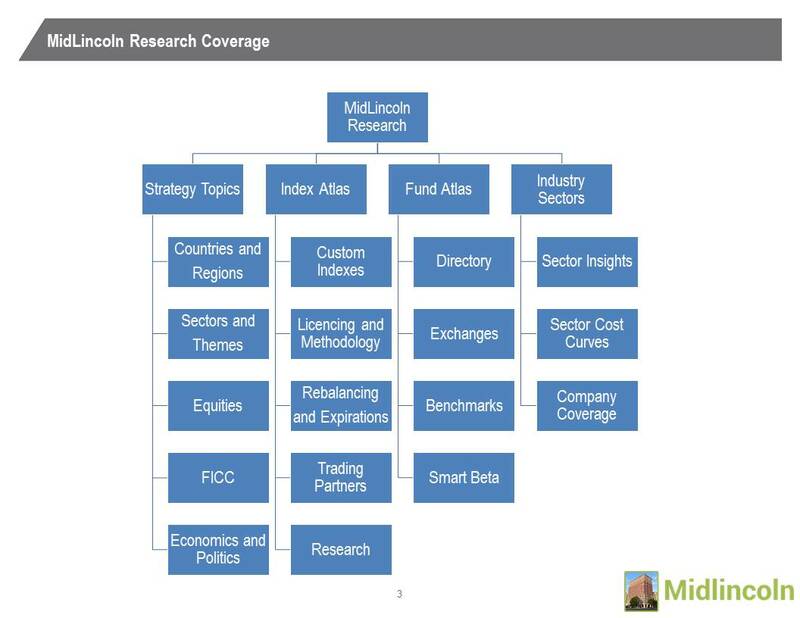 At that time Midlincoln expands coverage and focuses on BRICS plus Turkey and South Korea. But by March 2014 country macro and coverage has been extended to every major country and ML starts to think global. 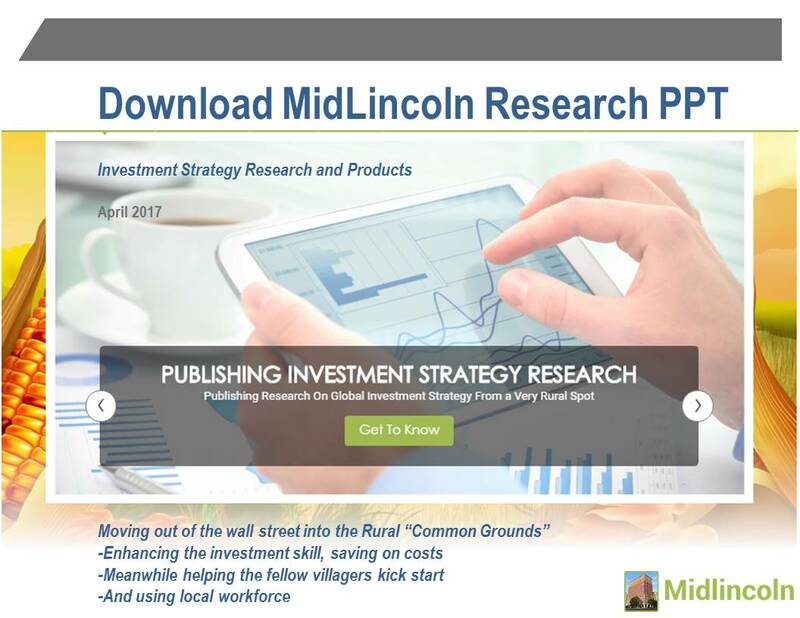 April 2014 MidLincoln rises funding to invest into investment strategy research business. Vladimiris Rimasevskis become a JLP in MidLincoln Reserch. June 2016 Cooperation with Verno Capital to research quant portfolio management opportunities is established. March 2017 Cooperation with Moscow Exchange established - Index atlas launched. To further develop rural cooperation ideas ML launches rural crafts initiative a rural crafts kickstarter. But this idea will need to be developed in greater depth. ML is also looking for a next rural or small town spot to open its next office.